It started with 10….. then there was only 1. It’s not every day you get to watch a new champion emerge before your eyes. Sure, I’ve watched it from the comforts of my home, but this time it was much different. I was able to experience it in person and to watch it unfold step by step as it did, was something I’ll never forget. Not only was I able to watch every race as it happened, I was also able to be a part of the team that won a World title. 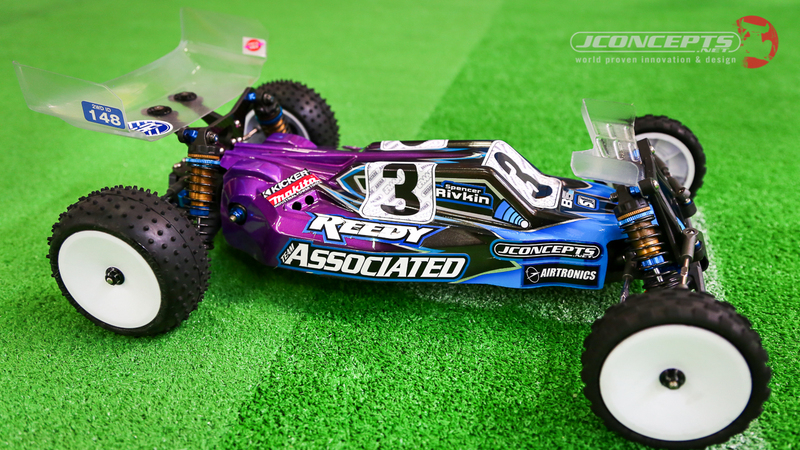 JConcepts’ Spencer Rivkin drove like he had the confidence and desire to win. He was getting stronger as it came closer to the mains and in all 3 mains, drove like a champion. 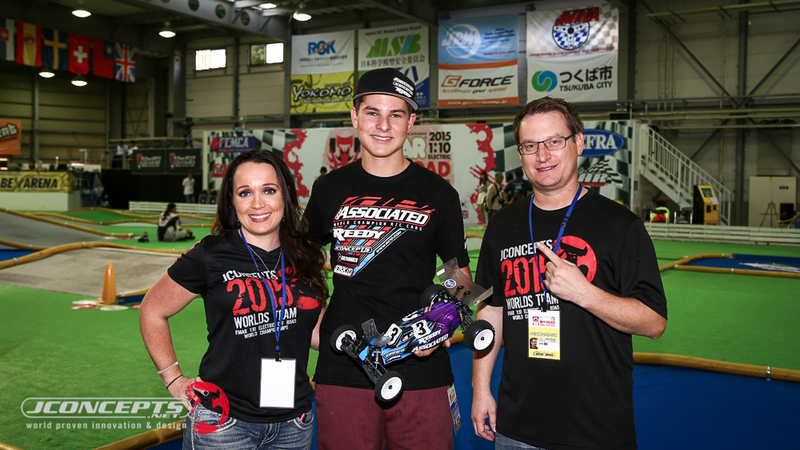 Congratulations to Spencer, to his father Ronnie, to AE, Reedy, and especially to JConcepts! Watch day 4 and relive the steps on how Spencer Rivkin won his 1st title. 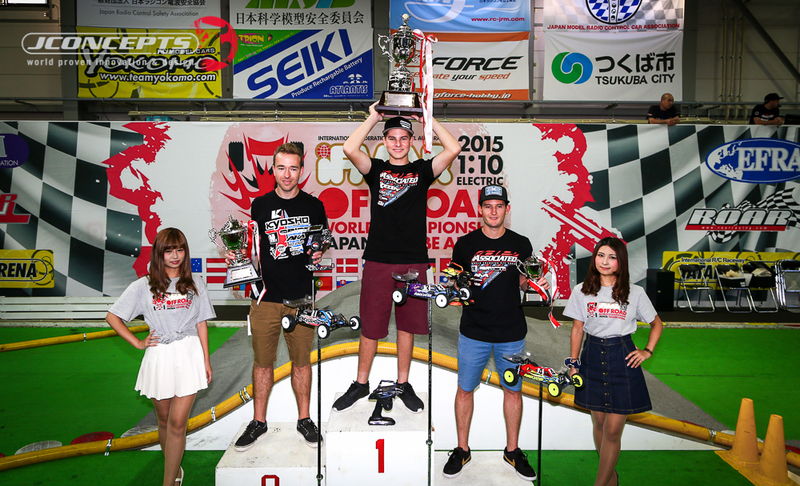 A3 Recap and interview with the new 2wd World Champion! 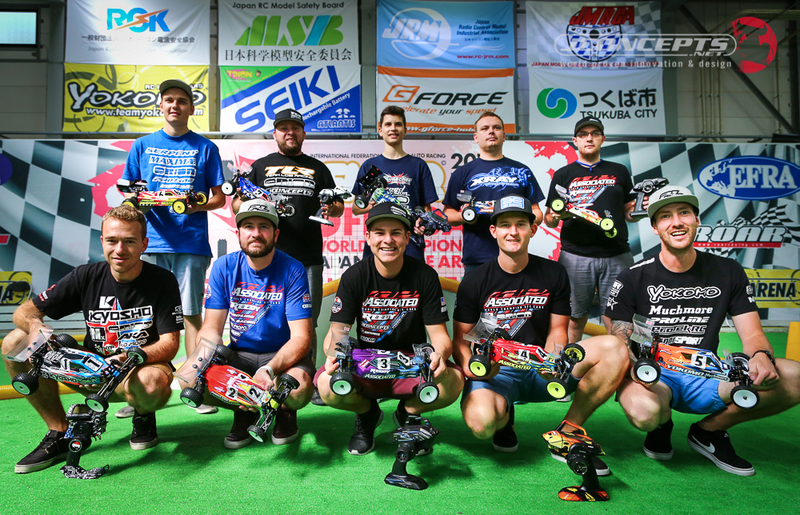 Tags: 2015, A1, allison ruona, arena, championships, day 4, ifmar, japan, jason ruona, jconcepts, recap, spencer rivikin, video, world, yatabe. Bookmark the permalink.